A strong grounding in key environmental concepts will help empower the next generation of citizens to understand and advocate for a sustainable future. What key concepts do they need to know? This year’s Earth Day campaign is “dedicated to ensuring that every student around the world graduates high school as an environmental and climate literate citizen”. This had me wondering: what would such a person look like, and what key concepts would help them to become an environmentally-literate citizen once they have left education? When I was at school in the UK, my friends and I always used to stop by the local shops for unhealthy snacks before getting the bus home. Back in the day, a Cadbury's Freddo (a chocolate-caramel-based-frog-themed-snack) would set you back around 10 pence -- which I guess would be around 13 US cents or 12 Euro cents at today’s exchange rate. Head down the convenience store now, and you’re looking at a cool 25 pence. So, this means that your current cohort of school kids is being hit with an increase in the cost of a Freddo at almost double the cost of inflation compared to the cohort that were at school at the turn of the millenium. Compare this to the cost on their original release by Cadbury’s in 1973 at 2 pence per Freddo, and based on inflation, you would expect the cost by the year 2000 to be around 15p – meaning that millenials might actually have had a bit of bargain. The key thing here is that each generation of school kids is experiencing a different cost of the chocolate bar, one that isn’t comparable even when you take into account changes in the economy. These are known as shifting baselines. As a concept, this can act as an important reminder that perceptions of change can themselves change through time. Probably the most well-known example of this is in fisheries, where each successive generation of fisherman may experience a different concept of what they think a healthy fishery looks like. Fisherman in the 19th Century regularly landing abundant catches of large-bodied fish, for example, may have had a different perception of the size of stocks than those fishing in the mid-20th Century. Similarly, if over-exploitation of stocks continues, subsequent generations of fisherman in the 20th century may perceive less abundant, small fish as the norm. And this syndrome can be translated to many other environmental issues. The rate of global temperature change experienced by the current generation will look very different to that experienced by past and future generations. The types of birds my parents would routinely see on countryside walks in their youth were likely very different to those that I saw in mine. The time of year that people in Japan experience the first blooming of cherry blossom will likely have been different in the 9th century than it is today. What this underscores is that appropriate baselines are needed from which current trends in global change can be properly compared. This is especially important if we are to create useful, meaningful targets to evaluate the success of mitigation efforts. 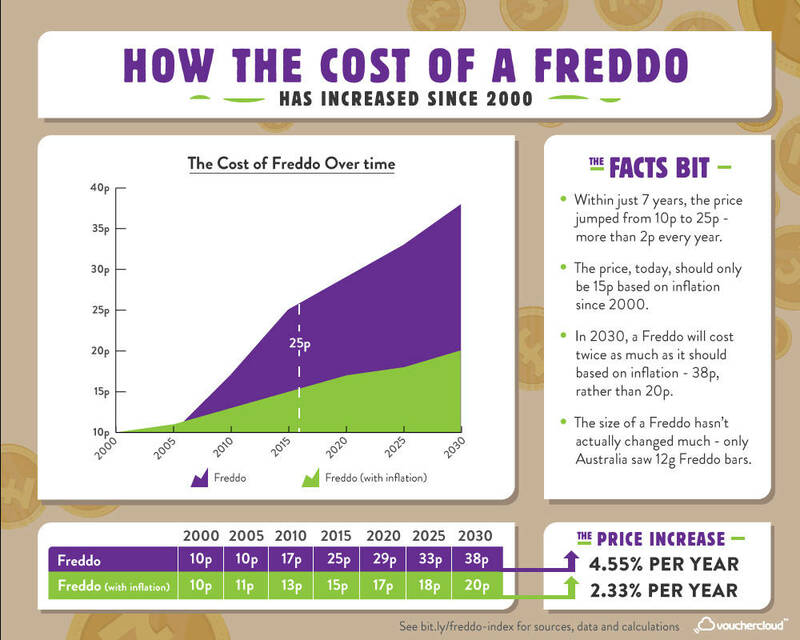 In the case of Freddo, we know the starting cost and the rate of inflation, so we can extrapolate to what we would expect current and future prices to look like. Environmental data rarely has this luxury. 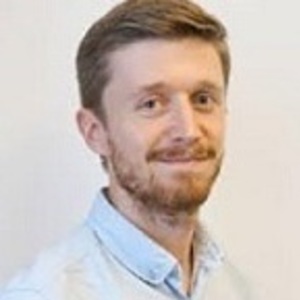 Biodiversity data, as just one example, suffers from a chronic lack of high-quality baseline data, since we only really began systematic monitoring schemes toward the end of the last century. What this means is that the vast majority of human-driven causes of biodiversity loss – agricultural intensification, the large-scale use of pesticides, pollutants from the industrial revolution, large-scale fisheries and whaling, recreational hunting – were started well before we even began collecting data on the subject, particularly in the West. 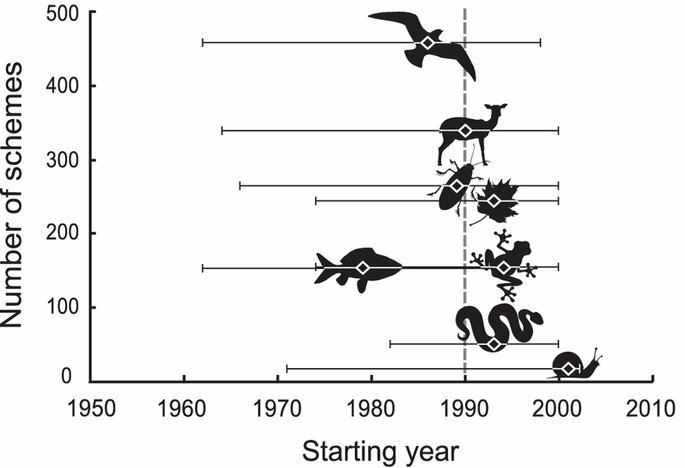 A recent evaluation of the temporal breadth of biodiversity monitoring schemes in Europe puts the majority of data available on animals and plants at well after the 1950’s. In terms of the spread of data across different regions of the globe, the picture may be even more limited. It’s difficult to know how big a deal this lack of data really is for our broader understanding of biodiversity change, and our means of stemming the current biodiversity crisis.There is some hope that bio-archaeology and paleo-ecology may be able to fill in some of these information gaps, but until then it seems crucial that we acknowledge the limitations of our current knowledge-base, and work with a view that our current picture may not quite be all that it seems.